ALAMEDA, Calif. – Oakland Raiders General Manager Reggie McKenzie was named the Sporting News NFL Executive of the Year, Sporting News announced Monday. The honor was determined by a vote of NFL team executives. In 2016, McKenzie’s fifth year as general manager, the Raiders posted a 12-4 record and advanced to the postseason for the first time since the 2002 campaign. The Raiders had an NFL-high seven Pro Bowl selections, had two players earn first-team All-Pro recognition and DE Khalil Mack was named the Associated Press Defensive Player of the Year. Since being named General Manager by Owner Mark Davis in 2012, four Raiders draft picks have gone on to receive Pro Bowl selections. Mack, the Raiders’ first-round pick in 2014, earned his second straight Pro Bowl nod, while QB Derek Carr, the team’s second-round selection that year, emerged as a Most Valuable Player candidate and has received Pro Bowl invitations in each of the last two seasons. WR Amari Cooper, the team’s first-round pick in 2015, has also earned two Pro Bowl selections after beginning his career with consecutive 1,000-yard receiving campaigns. 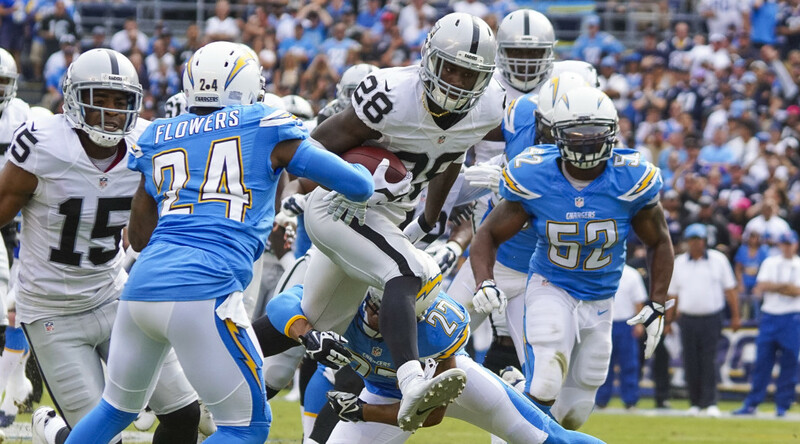 RB Latavius Murray, a sixth-round pick in 2013, earned a Pro Bowl bid in 2015 and was named an alternate this past year. In addition, 10 players drafted by the Raiders in the fourth round or later since 2013 have started multiple games for the team and six different draft picks have earned All-Rookie honors. Last offseason, the Raiders signed LB Bruce Irvin, S Reggie Nelson, G/T Kelechi Osemele and CB Sean Smith, securing four of the “top 25 available free agents” according to NFL.com. All seven of the team’s draft picks saw significant action during the season and first-round selection S Karl Joseph was named to the PFWA All-Rookie Team. 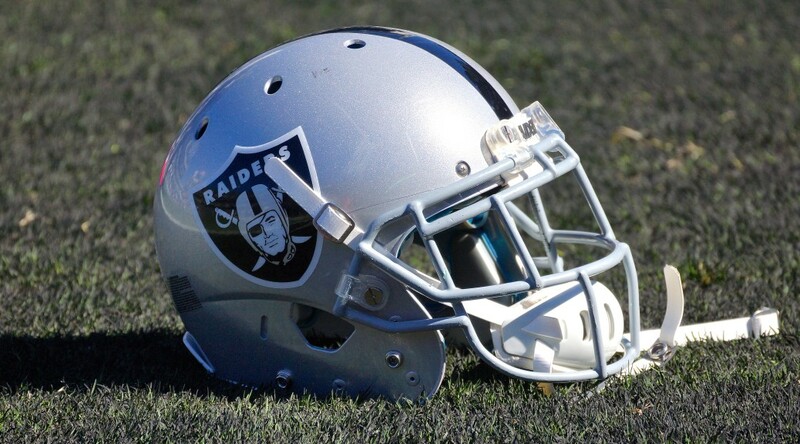 A remarkable seven undrafted free agents, acquired by the Raiders in the weeks following the 2016 NFL Draft, finished the season on the team’s active roster. A Silver and Black contingent will travel to Mexico City to perform philanthropic endeavors in advance of the Oakland Raiders arriving for their Monday Night, November 21 contest against the Houston Texans at Azteca Stadium. Linda and Lauren Del Rio, wife and daughter of Raiders Head Coach Jack Del Rio, will lead the group in Mexico City to participate in charitable work on Sunday, November 20, when the Jack Del Rio Foundation will donate backpacks, school supplies and playground balls to underserved children. In addition, a $10,000 check will be gifted to Mano Amiga from the Del Rio Foundation and NFL Mexico and toiletry kits will be provided to the parents within Mano Amiga. The Jack Del Rio Foundation is also donating a check in the amount of $8,000 to Mano Amiga for the purchase of athletic uniforms. Mano Amiga is a 20-year-old 501c3 non-profit company that organizes and facilitates mission trips for youth organizations from churches and schools and works to help people from Latin American countries that are in need. “Mano Amiga thanks the Del Rio Foundation for the opportunity you offer our students to widen their horizons and aspirations through the passion and generosity of people and organizations like yours. Thank you for joining the mission of transforming lives through Mano Amiga,” said Gina Chavez of Mano Amiga. The Del Rios will be joined at the event in Mexico City by Raiders Alumnus Lincoln Kennedy, members of the Raiders Women’s Association, Raiderettes, Raider Rusher, as well as representatives from NFL Mexico and Mano Amiga. Local students in the Mano Amiga organization will participate in a free youth football clinic facilitated by the team and geared towards boys and girls. The clinic features the educational and recreational benefits of football presented in a safe and fun environment. The curriculum makes it so that any student can participate regardless of age, gender, ability or experience. The Raiders have made several previous trips to Mexico City already this year. The Silver and Black hosted a Fan Fest to celebrate Day 3 of the 2016 NFL Draft at the Estadio Azteca Plaza in late April, where fans in attendance watched rounds 4-7 of the NFL Draft on large screens and experiences selection announcements, live performances, appearances by Raiders players and alumni, and performances by the Raiderettes. In addition, earlier this year Raiders running backs Latavius Murray and Taiwan Jones squared off in a can’t-miss matchup as the two served as guest coaches in the Tochito Flag Football Championship in Mexico City. The Raiders were also involved in a number activities recently in honor of Hispanic Heritage Month. During a game in October, the Raiders honored Oakland’s Chicana Latina Foundation Executive Director Olga Talamante as the recipient of the NFL Hispanic Heritage Leadership Award. The awards recognize the contributions of Hispanic leaders in each NFL market. The Raiders also celebrated Hispanic Heritage Month by partnering with a local Ballet Folklorico performance group to educate local underserved youth from Roosevelt Elementary School in the Oakland suburb of San Leandro about the history of Ballet Folklorico and its significance to the heritage of Mexico and Latin American culture. Raiders players Shilique Calhoun, Gabe Jackson, Taiwan Jones and Jaydon Mickens joined the Mexico Danza dancers and students in an energetic Ballet Folklorico session of learning traditional dance moves. The event tied in with Play 60 messaging of dance being an easy and fun way to be active for at least 60 minutes a day. Additionally, the group put on a traditional Ballet Folklorico performance. Earlier this year, the Raiders were one of seven NFL teams to participate in an NFL PLAY 60 Character Camp. The camps are presented in partnership with the Muñoz Agency and USA Football and are part of the NFL’s year-round Hispanic outreach initiative, focused on offering youth opportunities to play and experience the game of football while emphasizing exercise and reinforcing the importance of character in athletics and life. 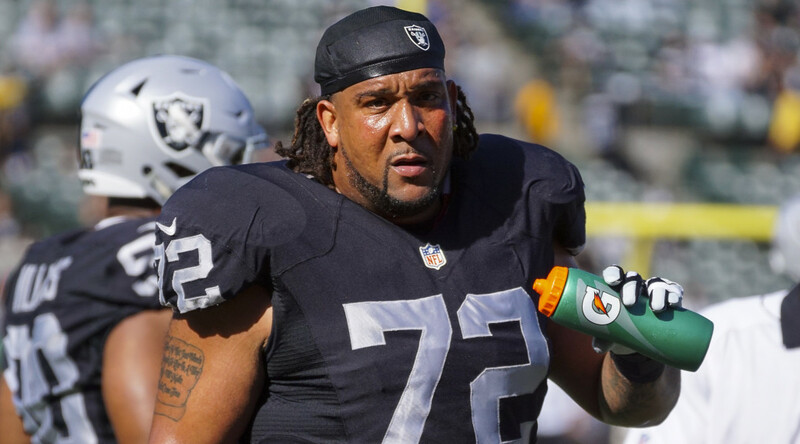 ALAMEDA, Calif. – The Oakland Raiders have re-signed T Donald Penn, the club announced Thursday. Penn signed with the Raiders in March 2014 after eight seasons with the Tampa Bay Buccaneers. Over the last two years, he has started all 32 games at left tackle for Oakland, extending his remarkable streak to 144 consecutive games played and 140 consecutive starts with the Raiders and Buccaneers. His 144 straight games played and 140 straight starts, both of which date back to 2007, are tied for second and third, respectively, among active NFL offensive linemen. Last season, Penn was a key part of an offensive unit that produced four Pro Bowlers – QB Derek Carr, WR Amari Cooper, RB Latavius Murray and FB Marcel Reece. Cooper became the first Raiders to reach 1,000 receiving yards since 2005 and Murray the first Raider to reach 1,000 rushing yards since 2010. He was originally signed as an undrafted free agent by the Minnesota Vikings in 2006 before being signed off the practice squad by the Buccaneers later that season. The 6-foot-4, 315-pounder was named to the Pro Bowl after the 2010 season. The Inglewood, Calif., native attended Utah State, where he started 44 consecutive games at both tackle positions for the Aggies. 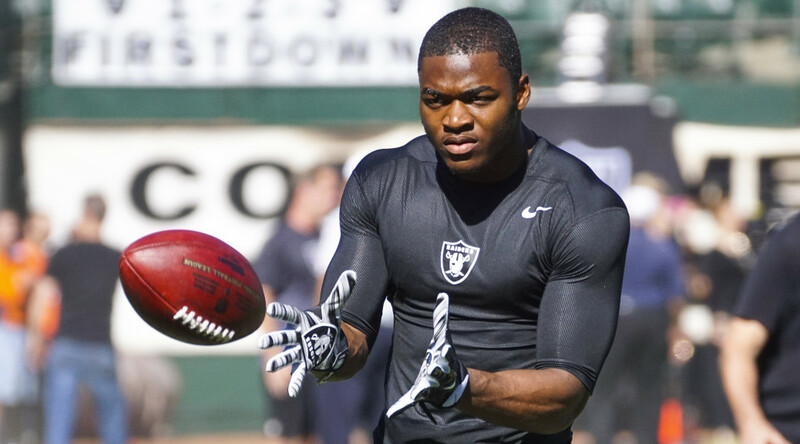 ALAMEDA, Calif. – Oakland Raiders rookie WR Amari Cooper was named to his first Pro Bowl, the NFL announced Thursday. Cooper, who was originally selected as an alternate, replaces New York Jets WR Brandon Marshall. Cooper joins teammates S Charles Woodson, FB Marcel Reece, DE Khalil Mack and QB Derek Carr as selections to the NFL’s all-star game, to be played at Honolulu’s Aloha Stadium on Jan. 31. In December, Cooper, Carr and RB Latavius Murray were named alternates for the Pro Bowl, and Carr was named as a replacement on Wednesday. The five Pro Bowl selections for the Raiders mark the most for the team since having five in 2002. Cooper is the third Raiders draft pick in the last two years to be named to the Pro Bowl, joining Mack and Carr. He is the sixth Raiders rookie to make the Pro Bowl, joining Woodson (1998), Tim Brown (1988), Marcus Allen (1982), Ray Guy (1973) and Raymond Chester (1970) on that list. Cooper led NFL rookies in nearly every receiving category by posting 72 receptions for 1,070 yards (14.9 avg.) with six touchdowns in 2015. He became the first ever Raiders rookie to reach 1,000 receiving yards and set franchise records for receptions and 100-yard games by a rookie with five. The 6-foot-1, 210-pound wideout led the team in receiving yards and yards per catch, while ranking first among NFL rookies in receptions, receiving yards and tying for first in touchdowns. Additionally, his 72 catches are the most ever by a wide receiver 21 or younger and his yardage total is the second most by a NFL player 21 or younger. Cooper saw the first of his five 100-yard games come in Week 2 against Baltimore, while also becoming the youngest Raiders wide receiver to catch a touchdown pass. In Week 3 at Cleveland, Cooper became the first Raiders rookie with 100 receiving yards in back-to-back games since James Jett (Nov. 21-28, 1993) and joined DeSean Jackson (2008) as the only NFL rookies in the past 30 years with two 100-yard receiving games in their team’s first three games. Cooper’s five 100-yard games are tied for the second most by a rookie since the 1970 AFL-NFL merger. The native of Miami, Fla., was tabbed as the Raiders’ first-round draft pick and the fourth-overall selection in the 2015 NFL Draft after a record-setting career at Alabama. He was the highest wide receiver taken in the draft and the first receiver taken by Oakland in the first round since 2009. 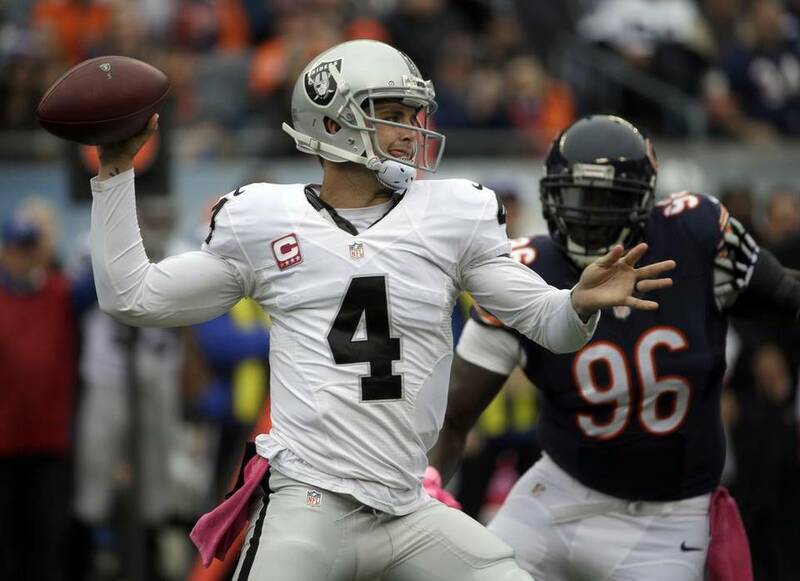 ALAMEDA, Calif. – Oakland Raiders QB Derek Carr was named to his first Pro Bowl, the NFL announced Wednesday. Carr, who was originally selected as an alternate for the Pro Bowl, replaces Green Bay Packers QB Aaron Rodgers, who is unable to participate due to injury. 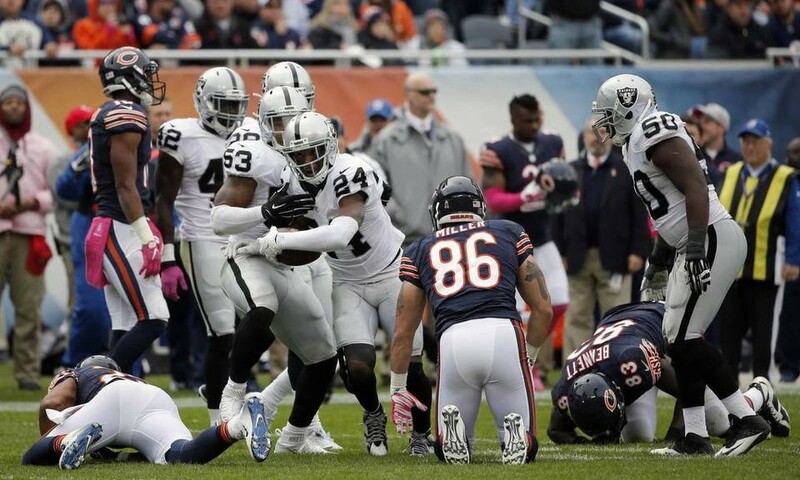 Carr’s teammates S Charles Woodson, FB Marcel Reece and DE Khalil Mack were also selected to the NFL’s all-star game, to be played at Honolulu’s Aloha Stadium on Jan. 31. In December, RB Latavius Murray and rookie WR Amari Cooper were also named alternates for the Pro Bowl. One of the NFL’s most dynamic young passers, Carr becomes the first Raiders quarterback to be named to the Pro Bowl since Rich Gannon in 2002 after starting all 16 games. He threw for 3,987 yards on 350-of-573 passing (61.1 percent) with 32 touchdowns and 13 interceptions for a passer rating of 91.1. He also added career-high rushing totals with 33 attempts for 138 yards (4.2 avg.). The 6-foot-3, 215-pound signal caller finished his sophomore campaign tied for seventh in the NFL in passing touchdowns and 300-yard passing performances with six. 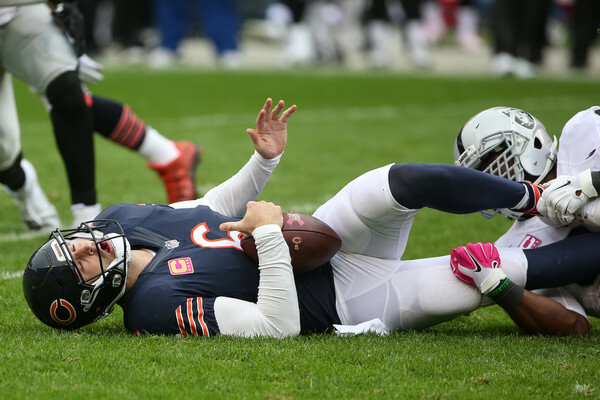 Carr also recorded four fourth-quarter comeback drives, five games with a rating of at least 100.0 (5-0 record) and 11 multi-touchdown games, tied for third in the NFL. 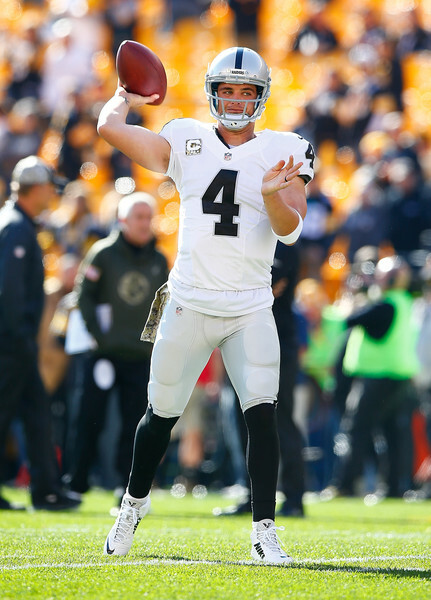 Carr was named the Castrol Edge Clutch Performer of the Week twice in 2015 after leading the Raiders on fourth-quarter scoring drives to secure comeback victories. In Week 2 against Baltimore, he threw for a career-high 351 yards and three scores, including the game-winning touchdown pass with 26 seconds remaining. Carr again led a fourth-quarter comeback drive and threw a touchdown pass with 1:21 remaining to defeat the Tennessee Titans on the road in Week 12. 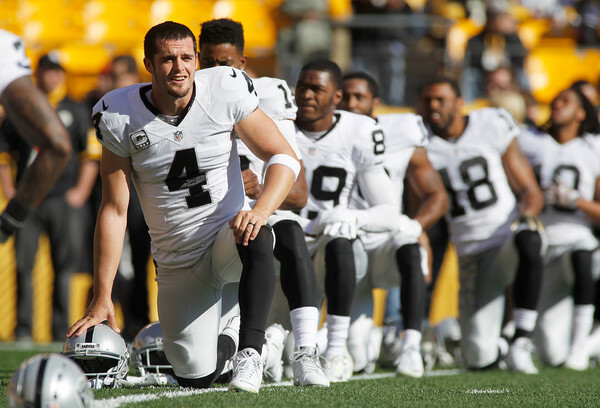 Carr tied a single-game high by throwing four touchdowns in back-to-back games in Weeks 8 and 9, against the New York Jets and Pittsburgh Steelers, respectively. The native of Bakersfield, Calif., joined the Raiders in 2014 as the team’s second-round selection (36th overall) in the NFL Draft. He has started all 32 games over his first two NFL seasons, becoming the first offensive player to do so in Raiders franchise history. 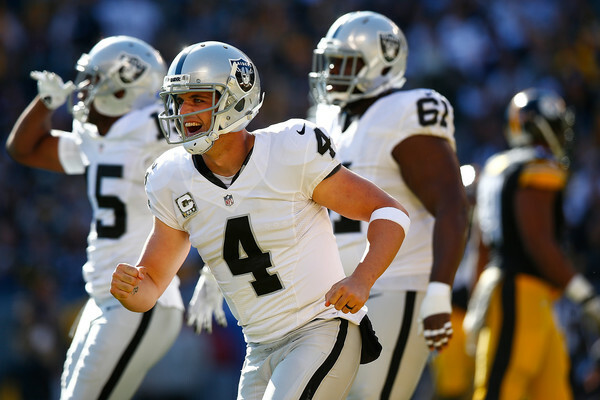 Carr is the owner of 53 career touchdown passes, the second most ever by a player through his first two NFL seasons. 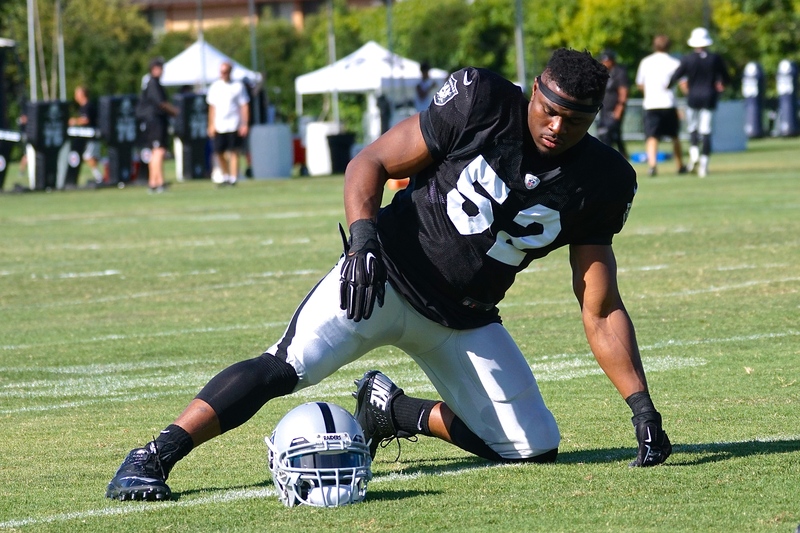 ALAMEDA, Calif. – Oakland Raiders S Charles Woodson, FB Marcel Reece and DE Khalil Mack have been named to the 2016 Pro Bowl, the NFL announced Tuesday. QB Derek Carr, WR Amari Cooper and RB Latavius Murray were named as alternates for the annual all-star game, scheduled to be played at Aloha Stadium in Honolulu, Hawaii, on Jan. 31, 2016. 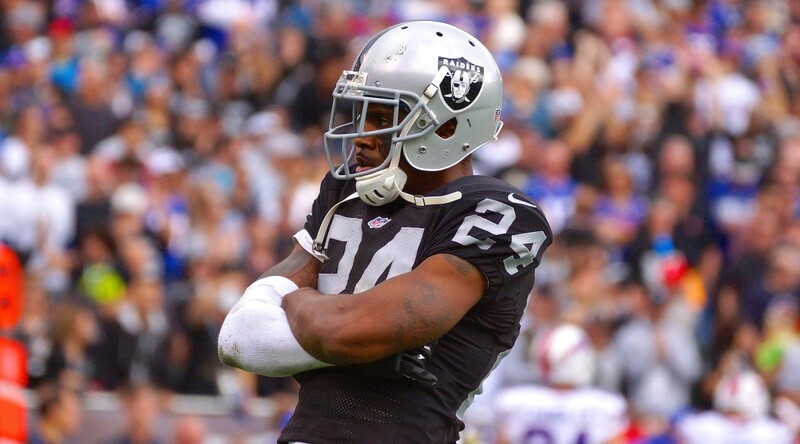 After announcing his intention to retire at season’s end, Woodson has been selected to his ninth Pro Bowl and fifth as a Raider. He has started all 14 games at safety this season, totaling 82 tackles (59 solo), five interceptions, nine passes defensed, one forced fumble and three fumble recoveries. His five interceptions are tied for sixth in the NFL and his 82 tackles are second on the team. Earlier this year, was named the AFC Defensive Player of the Month for October after posting three interceptions in three games, including a season-high two picks in Week 5 vs. Denver. Reece has been selected to his fourth straight Pro Bowl, as he has been chosen every season since 2012. The four-time Pro Bowler has played in all 14 games for the Raiders this year, starting six, and totaled 28 receptions for 266 yards (9.5 avg.) with three touchdowns and 10 carries for 36 yards. Reece’s 9.5 yards per reception rank seventh among all running backs and fullbacks this season. In Week 1 vs. Cincinnati, Reece posted his first career multi-touchdown game, hauling in two touchdown receptions. 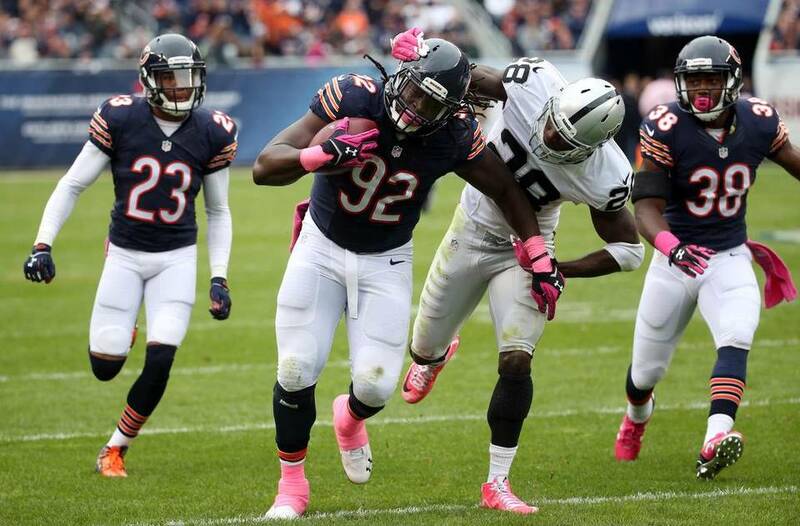 In his second season, Mack has started all 14 games, totaling 62 tackles (46 solo), 15 sacks, two forced fumbles and three passes defensed. His 15 sacks lead the NFL and he is just one sack away from tying the franchise single-season record. Mack owns four multi-sack games this year, including a 2015 NFL single-game high five sacks in the team’s Week 14 victory at Denver, a performance for which he was named AFC Defensive Player of the Week. The three Pro Bowlers for the Raiders mark the most the team has had since 2011 when they had four. PITTSBURGH, PA.- The Pittsburgh Steelers defeated the Oakland Raiders 38-35 on an 18-yard field goal with :02 left in the game. The old school rivalry didn’t disappoint. With over 1,000 yards of total offense combined it was a high flying score fest with defenses getting burned nearly every tick of the clock. The Steelers physical defense caused five forced fumbles three were recovered by Pittsburgh. Despite four turnovers the Raiders had it’s opportunities to win the game thanks to Derek Carr and a recently potent Oakland Offense. Raiders Quarterback Derek Carr threw for 301 yards on 24-of-44 passing (54.5 percent) with four touchdowns and one interception, giving him a passer rating of 96.9. 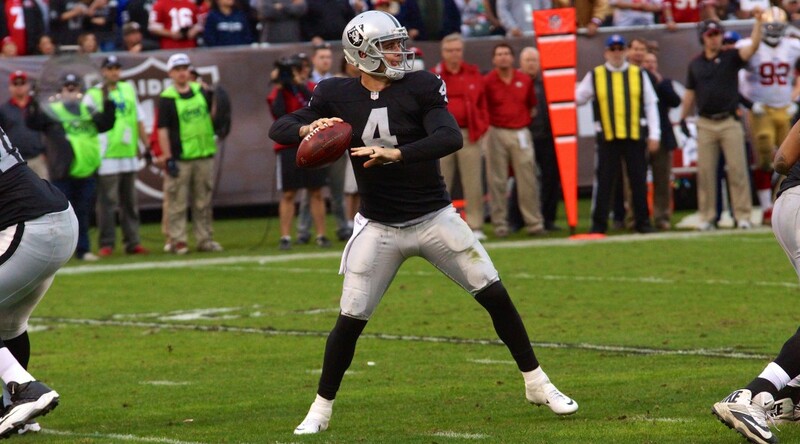 Carr is the second Raider with four 300-yard games through the team’s first eight contests (Rich Gannon in 2002). Carr now has 19 touchdown passes on the season, the most by a Raider through eight games since the 1970 AFL-NFL merger. Carr has thrown 11 touchdowns of 20-or-more yards. Carr is the third Raider with four touchdown passes in back-to-back games and the first since the 1970 merger (Cotton Davidson in 1964 and Tom Flores in 1963). Carr entered Week 9 leading the NFL in first-half touchdown passes and tossed two more today to improve his season total to 13 with only one interception (13.0 TD-INT ratio). Steelers Quarterback Ben Roethlisberger was having a big day as well throwing to what appeared to be Superman without the cape. Big Ben was 24-of-44 passing for 334 yards and two touchdowns before being knocked out of the game with a foot injury. Wide receiver Antonio Brown had a franchise day he had 17 receptions for 284 yards. He also added 22yards on the ground. Running back DeAngelo Williams ran for 170 yards and two touchdowns as the Steelers rolled up 597 yards of total offense. Wide Receivers Amari Cooper (45) and Michael Crabtree (47) are the first pair of Raiders to be on pace for 90 receptions each through eight games since Charlie Garner and Jerry Rice in 2002.The pair has also combined for nine receiving touchdowns this season, four by Cooper and five by Crabtree. Wide Receiver Michael Crabtree hauled in seven passes for 108 yards (15.4 avg.) and two touchdowns for his 11th career 100-yard game and third of the season. He has 100-yard games in back-to-back outings within a regular season for the first time in his career. 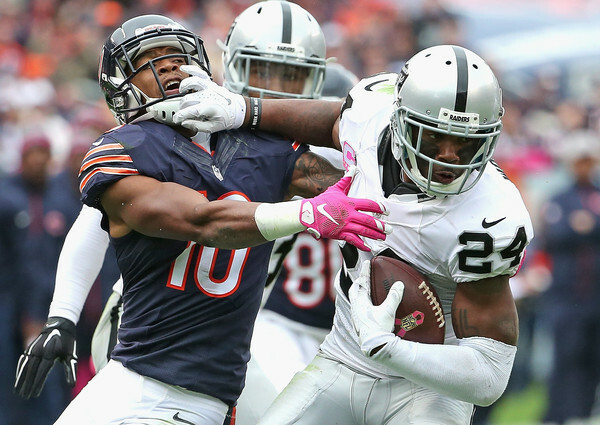 Crabtree hauled in two touchdowns in a game for the fifth time in his career and the first time since 2012. He now has five touchdowns on the season and 31 career scores.Crabtree has caught a touchdown pass in three straight games for the second time in his career (2012). Wide Receiver Amari Cooper finished the day with seven receptions for 88 yards (12.6 avg.) and one touchdown. Cooper set the franchise record for receptions by a rookie, passing Zach Miler (45 in 2007). With his sixth reception, he passed Tim Brown (43 in 1988) for the most by a rookie wide receiver in team history. 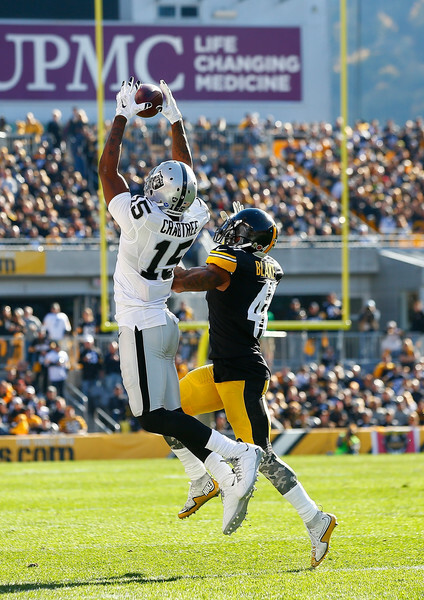 Cooper hauled in his fourth receiving touchdown of the season on a 15-yard pass from Carr. Running Back Latavius Murray averaged 5.65 yards per carry on 17 attempts for 96 yards before leaving the game in the third quarter. Murray’s first carry of the game went for 44 yards, his sixth rush of 20-plus yards this season. Wide Receiver Seth Roberts had three crucial catches in the game, totaling 73 yards (24.3 avg.) with a 36-yard long. All three of Roberts’ catches were for at least 18 yards, and he had a 19-yarder and a 26-yard catch in the fourth quarter. Fullback Jamize Olawale recorded a career-long 19-yard run for his first career rushing touchdown, bringing the Raiders back within seven points in the fourth quarter. Tight End Clive Walford caught his second career touchdown on a 1-yard reception from Carr in the third quarter, tying the game at 21-21. Walford is the 10th tight end in team history to catch at least two touchdowns as a rookie. Cornerback David Amerson intercepted his first pass as a Raider in the third quarter, giving him three career interceptions. He finished with eight solo tackles, three passes defensed and the one interception with one return yard.